As someone who has hired bloggers for various brands both local and national, I’ve seen a TON of blogs. Many have been good, several have been bad, and you can probably guess – I’ve seen a LOT of ugly. Most bloggers that I know get into blogging to share their passions: children, style, food, and the like. But most that stick around for awhile realize that there’s money to be made for their written word and the audience they’ve accrued. And, it’s true. You can make money blogging. But if you want to get the attention of brands, and the PR companies and consultants that hire bloggers, there are some essential steps you need to take. It’s about making it easy for a brand to work with you. Allow me to walk you through a few tips that can help you put your best foot forward and secure those blogging gigs that will make you money! 1: How will brands find you? When I’m looking for bloggers to work with I’m usually looking for one of two things: Bloggers in a certain area, bloggers in a certain niche or both. With that in mind, is your blog listed in appropriate directories? Are you in blogger networking communities that fit your niche and your locale? Are you in Facebook groups that match your blogging expertise? Are you sharing pins on Pinterest that are keyword optimized for your field? Are you a part of local blogging networks in your area? These are all things that are essential to getting noticed. Once I find you, I’m going give your blog a quick once-over. The things I’m noticing: Does your URL match your blog name? When’s the last time you posted? Are your pictures taken by you, and are they good? Do you give good titles to your posts? 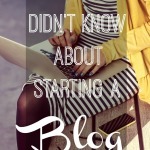 Is your blog easy to navigate, and is it attractive? 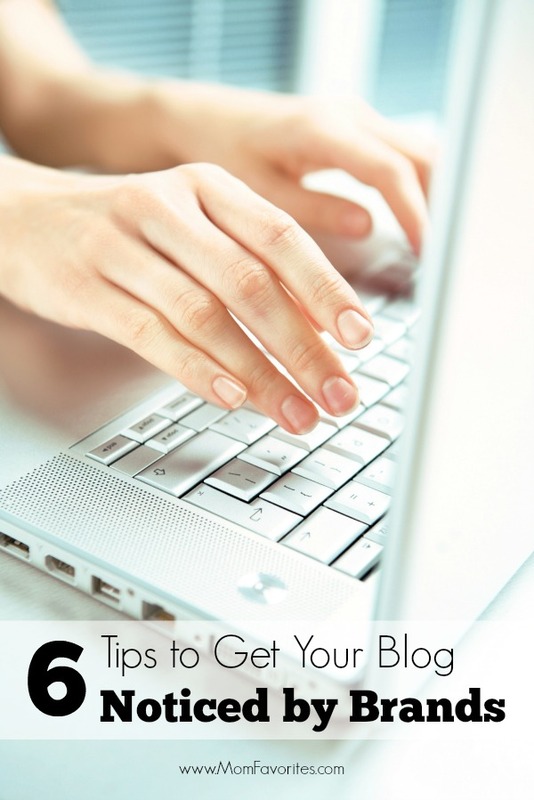 These few things are essential to keeping someone, anyone, on your blog. Duh, right? But it’s not as obvious as you might think. Your social media icons need to be “above the fold.” That means, front and center, without having to scroll down. Make sure ALL of your social media profiles are listed. For example, I might be looking for bloggers that are active on Instagram. Or Google+. Or Pinterest. If you don’t have those social media profiles along with your Facebook and Twitter handle, I’m going to disqualify you for my Pinterest campaign. So make sure they are all there. Oh, and make sure the links work! 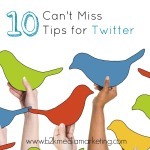 Have you changed your twitter handle and forgotten to update it on your website? I cannot tell you how often I’ve clicked on a bloggers social media icon only to have it take me to a non-existant page. And, here’s another biggie: When you click on a social media icon on your page, does it open up a new window or take you away from your blog? Trust me, you don’t want to cause me to stray from your blog when I’m trying to learn about you. It’s easy to get distracted and forget where you came from. Always have your social media profiles pop up in NEW windows or tabs. Check yours now. Go ahead, we’ll wait here for you…. 4: How can I reach you? I want to be able to get your email address from your home page. It’s okay if I click on a link and it pops up into my default email client. What I don’t want is to fill out a form. I don’t care how awesome you are. If I can’t get your email address, I move on. And if I’m doing it, likely others are too. 5: What’s your sidebar look like? Think about when you buy real estate. The thing any Realtor will tell you is it’s all about location. Well, in the bloggy world, your Sidebar is your prime real estate. Put the things here that matter most: Your social media icons, a picture of YOU, your contact info, a ditty about who you are and the most important things about your blog. Maybe it’s popular posts, maybe it’s a subscription tool to your newsletter, maybe it’s networks and brands that you work with. Don’t junk up this space. Keep it clean, and stick to the important stuff. Be sure to check your blog and sidebar in a few different web browsers. Does it look the same in Chrome? Safari? Internet Explorer? Double check. It’s that important. It’s true. A brand wants to work with bloggers that have great Google Page Rank, that have a fantastic Facebook following and huge Twitter audience. But don’t fret if you’re a small fry. Brands can’t always afford to work with the big guys. Sometimes they just need bloggers that will work hard to create a great story for them and that are willing to share it on their networks. That being said, don’t forget to check your “stats” periodically. Monitor your page rank. Run a Facebook ad every now and then to increase your Facebook likes.